HALIFAX -- Nova Scotia should return to 55 electoral districts -- including the restoration of four protected districts aimed at improving representation for black and Acadian voters, an independent commission says. 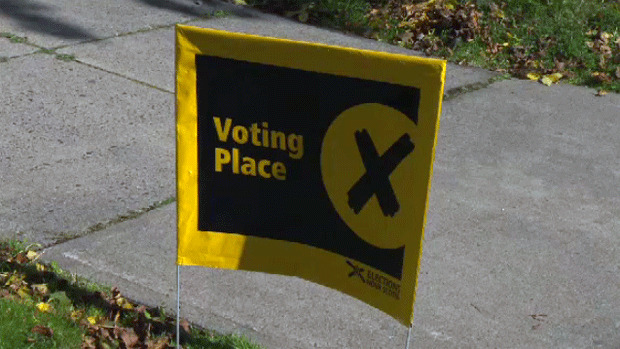 They were eliminated in 2012 when the province's former NDP government decided there were too few voters in each district and reduced the number of seats in the legislature to 51. The changes led to a successful court challenge by the province's Acadian community that ultimately resulted in the commission's report, which was released Monday. "Acknowledgment of these core communities is important because the Supreme Court of Canada ruled in ... 1991, Canadian citizens have the right ... to effective representation in the legislature, as well as the right to vote and to voter parity," stated the report. "Our hope is that people will trust this process and that maybe there will be some legitimacy in having their voice heard and they'll begin to bridge that gap of mistrusting government," Simmonds said. Justice Minister Mark Furey said the Liberal government would review the commission's recommendations before deciding on next steps. The final report looking at Nova Scotia's electoral map followed a series of public consultations held in January that presented four alternatives for consideration. The report's dissenting opinion argued the area's Acadian population does not enjoy effective representation on par with other Nova Scotians as part of the Inverness riding. It said the failure to add a 56th seat also reflects an urban-rural divide in the province. "It would be a great asset for our province," commission member Paul Gaudet said of a seat for Cheticamp. "It's not a question of quaintness, but a question of a distinct part of Nova Scotia having been neglected over the years. So we thought probably with the terms of reference this time around that we could go up to 56." However, commission chairman Colin Dodds said the majority of the commission felt it was simply "going too far" to give Cheticamp a seat given the area's overall population. "I can tell you that some members of the commission including myself said it was a decision between the head and the heart and it was a very difficult choice for us," Dodds said. "I think we have to assess where we are and we have to look at how can we better serve the people of Cheticamp," said LeBlanc.